We purchased the Image 19.0Q 9 years ago. We use it for walking not running. On average it is used 2 times a week anywhere from 2 to 4 miles each time, average, sometimes 4 times a week and some times we skip a week, so this is averaged. Never had any problems never needed service of any kind. My father began using it the most (daily) at age 72. In 4 months he lost 18 lbs. and kept it off. The treadmill was his only form of exercise other that woodworking. Even after heart surgery 5 years ago he continues to use the treadmill weekly. Its 2016 just moved the treadmill back to our home ( my father passed away) and are using it daily. We must have got a good one because we have had no problems. Join in and write your own page! It's easy to do. How? Simply click here to return to Image. I bought am image 15.0R from wal-mart about 2 years ago but it stopped working after about 9 months. I was upset because I did not have some kind of online support system where I could address the problem I was having with my treadmill. If you are going to sell a product for over $400.00, then there should be someone you can contact via net or by phone. I don't know if my motor went out or I just bought a bad treadmill. It only got used maybe 5 months after purchase. I got on it one day and it simply stopped running. I put the key in place and the belt would move for 2 seconds and stop each time I tried. If I could have talked to someone who knew more about the product than me, I would not have been so upset. I can guarantee that I will not make the same mistake twice. any body know how to solve this problem? whilst operating the treadmill it flashed up ERROR7 and then the treadmill stopped operating. when I turn the treadmill on now it will not let me programme it but does no show ERROR7? My treadmill SportsArt model 1080 is displaying error 7. can someone tell me how to fix it. Customer service at Proform.com The Logan UT company. My Message to them is:"Oh really, shortly you will be with me? I was just put on hold on the phone at Proform while everyone went home at the business. I held for 30 minutes from 4:45 PM to 5:15 PM MST Tuesday Jan 4, 2011. Called back to find a recorded message which said you had closed at 5. Your web site says your open till 6 PM MST. Nice job! No one said hold till morning so we can tell you 'we can't help you. So what if you bought one of our machines and it just quit working after minimal use. We don't work on stuff we sell if you can't get it to us'." Andrea, I'm sorry to hear you had trouble with your equipment, and specifically getting assistance in addressing any problems on it. The company who makes your product, and can therefore assist in troubleshooting and parts orders is ICON Health & Fitness. I work for them as a technitian in their customer service department. Each operator here is trained and ready to help. Our phone number here is 18009993756. For online support you can go to iconservice.com. There is a FAQ (Frequently Asked Questions) link which may be helpful, you can view the manual and order parts there as well. It is always important to have the model number for your machine, not just the name. It usually begins with IMTL and will be located on the framing of the machine. Call us if you still need help! 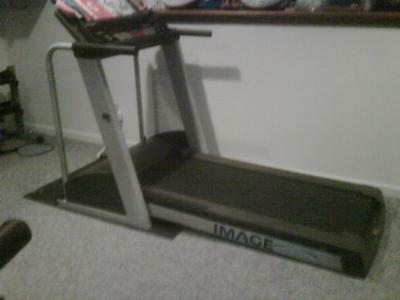 I bought an Image from Sears about 13 years ago, knowing nothing about treadmills. I payed about $1700 for it then, I'd assumed it was top of the line. Inside three months the motor went, but was replaced by a tecnician at no cost, no harm no foul. It came with Ifit, but the internet was and still is an elusive entity in my area, overcome only by an aircard (modem) at about $60.00 for 5g of data. Ifit was in it's infancy and has since basically excluded me and my treadmill as they have grown into what they are today. However the treadmill lives on!! The two programs that operate w/ the heart monitor and an age factor I find invaluable. I wonder what I will do if it ever breaks down again? We have had an Image 10.4 QL treadmill for almost 7 years. It was purchased new in December 2002. We have had no problems whatsoever with it despite almost constant use for both running and fast walking. The only issue I have with it is it doesn't fold up properly. The locking mechanism does not line up with the treadmill frame. Other than that it has been great. In my opinion it's a "commercial" grade treadmill as good as any I've used at high end health clubs. had this unit for almost 15 yrs or more. great unit. but eventually the motor gave up and would not start. tried everything my self to fix it. i miss having a threadmill. looking to buy another one with state of the art. Our treadmill is over heating. I have cleaned the belt and sprayed graphite as instructions tell you to do. The tension on the belts are fine. Very good unit. Going for over 20 yrs. thanks for the how to reset the incline on the treadmill. I have the 10.4Q for about 20 years and it has been superb. Not a single hick up. This is a very good treadmill and it sure was top not for its time when it was available. I will continue to use it until it burns up or the welds break. Does anyone know how to do a full system check on the unit? I used to know it. I did learn it from the techs when they used to come and service the unit annually but I forgot. I think it is a full system self test. There is a simple way to re-calibrate the incline. It is not a defect. It happens when the safety magnet is disturbed in the middle of either an UP or DOWN incline motion. Now I do not have my Pro-form (another ICON-made unit) any more but here is what I remember on the Steps to get the machine to do this self-recalbration. 1) Start tread at any speed. 2) Push button for raising incline. 3) And WHILE machine is in the act of inclining OR declining, does not matter which. PULL AWAY THE SAFETY MAGNET/KEY. 4) Now wait to see if the machine continues to do some form of incline action. LEAVE THE MACHINE ALONE FOR 2 minutes OR as long as it is TILL doing the calibration movement on the incline. 5) After it finishes it shall be at ZERO incline now. If the first attempt of above steps does not start the caliberation action, try from beginning and couple of more times TILL it starts the SELF-CALIBeration. Your locking mechanism doesn't line up because the incline is not going down to zero like it should. I have the same problem with my model 10.4Qi. I really do give my Image 15 R 4 out of 5 stars, and that is only due to the fact that when I put the fan on high, it is really noisy, like it is hitting something. But other than that, it's great. I especially like the pre-programmed workouts and how you can overide them if you need to. Like when it elevates automatically, if you want to bring it down, just push the button, or if you want to slow it down, just push the button. I have had mine for about 5 years now and have not had anything done to it. It still runs today as when I first bought it. I really do like the fact that it has so many different features and very simple to use. It is very easy to set up and use and it folds up easily as well not taking up more than maybe 18 inches or so from the wall. I really like my Image 10.0. 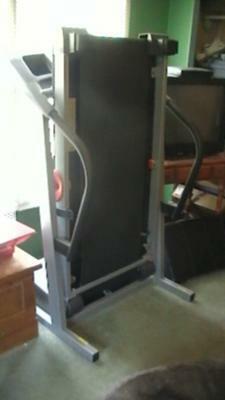 I had gastric bypass surgery and have used that as my excerise tool ever since. I am now 6 years out from surgery and my treadmill is still going strong. My treadmill is an Image 10.6 Q. that I purchased from Sears in late December of 2000.It is HUGE, like something that you would see at a Health Club or a Gym. I think that the walking belt is 60 inches X 22 inches. A 2.5 hp. motor. Until about a year ago when the motherboard burned out I have always had good service from it, and I am still going to try to fix it or get it fixed. but not outrageously noisy, either. The one that I bought was the floor model. I believe that they were about $1,600.00 at the time, but mine was just under $1000, plus taxes, and I had to pickup and haul it myself ( with friends ). I have always felt very comfortable with it and on it. I liked the programs and readouts, but the heart monitor is worthless. I was told that this is still the largest one that they ever built, and I personally wish that they had continued this one and perfected it. I BOUGHT A 17.OR TREADMILL FROM ICON 5 YEARS AGO, IT WORK WELL UP UNTIL IT STUCK IN 10.0 INCLINE AND I CANT GET IT DOWN, I CALL SEARS TECH, AND HE TOLD ME HE CANT FIND PARTS FOR IT, IT MIGHT NEED AN INCLINE MOTOR BUT IT IS STILL WORKING. I STILL LIKE MY TREADMILL. DO ANYONE KNOW WHERE I CAN FIND A REPAIRMAN TO FIX THE INCLINE? Mine done the same thing this morning. Just cycles on its own up and down then back up and down again. I'm looking for a fix on it. If u were in Australia I could fix this for you. I am a ICON preferred repairer. I've had the 14.0 for about 7 years now...It's still working like new. I'm NOT a daily exerciser anymore...just trying to stay in shape at least some...with 2 kids, fulltime job and house keeping...there's little time. This is just what I've needed though. I can choose to push myself by running, and the incline is just enough.... Perfect if you're not sure if its going to end up being be a doorstop. I have used the 17.5 daily for the past 2 years. It is sturdy and the incline and speed both work fine. I have an Image 10.0 in our vacation home in Maine. I love it. I now want to replace my home treadmill with an Image treadmill. I love the feel of it & most of all I love the reading rack. I used my sisters treadmill and I actually loved it. The walking space was great, the fan, was okay only I was a bit short and it hardly cooled me off (5'4"), I could feel it pass my hair. The quater track I really enjoyed as you know when you have went 1/4 or a mile visually. I appreciated the dual windows to view your progress as the smaller one had the calories, distance, mph and time, but the larger one could be changed to what you wanted to view on top. It also showed how many steps you took. This had the 10000 step program so that you could also monitor the steps on a regular workout. It also had the workout programs. I believe 6 of them, its been 3 weeks ago. It was rather quiet, not very disturbing noise. It felt very durable, not one of the smaller simple looking machines, but was also a folding. I really liked it, which is what prompted me when I got home to start researching and seeking for my very own. I tell you, it is work to research all the brands they have... I appreciate this site, in lieu of. I just read your poor review of the Image brand, so I have to write my two cents. I am baffled. Maybe I purchased one of the good ones. I don't know. I purchased it in about 1994 or '95 for what was an extreme amount of money for a treadmill at the time, $1300 to $1500 or thereabouts. It's been so long, I no longer remember. I came online to see if I could find out how to service the treadmill, since the service light has just recently come on. The treadmill has always been inside. It hasn't been used every day, but it has been used for long stretches by whichever family member is seeking to improve their health at some point. I haven't been a big user of the incline, but it has been used for fast walking and running and various degrees of incline. I've never used the programs that it has. It's quiet and I have to say it has been a real workhorse. I like the padded bar that goes across. I have a bad back and frequently need to rest my arms on it. All of the new treadmills I see only seem to have side handles, which really wouldn't do me any good at all. I have nothing but good things to say about it. I have had an Image 935 for over 5 yeras, used it quite a lot, got it because it wasn't expensive and never gave me any problems! Maybe because I don't weight much (between 105-112lbs./50kg). My daughter also uses it (120 lbs) and we run, not walk on it...I have been very happy. I ha e enjoyed my Image Treadmill but now it's kind of squeaking. Is there any recommended Treadmill mechanics that can fine tune them? Hi There, you can look up TechMotion in your area. 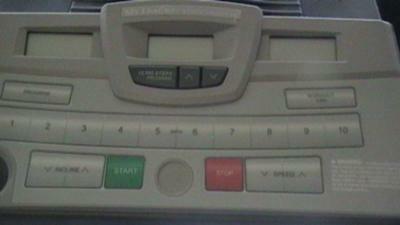 My Image 10.6Q treadmill was bought at Sears in Dec. of 1999. I think that that may have been the biggest home treadmills around, at the time. Three years ago the mother board burned out, as they are known to do. I am thinking of getting the board remanufactured by an expert in the business, now. So, had the treadmill for about 14 years of 3 to 5 times a week use before the mother board went bad. I have been thinking alot of fixing it because it was so enjoyable to use. The large 22'' X 60'' running sure was a dream, the incline always worked, so did the pre set programs, although I preferred to use the manual program. 1. The machine is no longer made so that if you want one you will have to buy used. 2. The running belt does seem to off center to the left at the rear of the treadmill so that simple re alignment is necessary about every third time you use it. 3. It isn't very quiet, not really noisy but not quiet either. There are no such attachments as for iFit, or WiFi or anything internet on it. Also, heart monitor is worthless. 1. If you can find one, as on eBay or Craigslist you can get it for just hundreds of dollars. 2. It is BIG but it does fold up, vertically. Has two front wheels to push it around with. 3. Alot of parts are still available for it. 4. I really like the face, dash board and the big bright readouts on it. Love the big track led image that shows your progress. 5. Book holder and water bottle holder on dashboard. Going back in time I would have bought it all over again for what I got out of it. Also, even on a surge protector...I would never leave this machine plugged in, when not in use. Unplug the whole thing, surge protector and all. I think that the electronics would last longer. Mine was listed as $1,999.99 back in 1999.I bought the floor model which was the last one that they had, before Christmas at Sears, and paid $999.00 for it. I hope this is of some help. I have this treadmill and it is great. No problems with it. Now, I am a walker, no faster than 3-4 mph. So I can't say how it would perform for a runner but for me it is great. Lots of features and easy to use. I have had it for 4-5 years. I have owned my Image treadmill for 13 yrs now. Because of a back injury I have faithfully used it every day walking 3-4 mph for at least 60 min. I have not had one day of trouble with it until now. I have thoroughly enjoyed my treadmill experience with Image. I wish I could replace it with another Image but I guess that wouldn't be a good idea. I am disappointed with this treadmill. I’ve only had it for 3 years and its no longer functioning properly. What’s worse is that the store I got it from does not carry them anymore. I have gone online to find a phone number for customer service and to locate a service technician in my area but all the websites have conveniently left out the customer service phone number on the contact us portion. Since I cannot have this one serviced, I will have to buy a new one and it won’t be an Image product. The treadmill works fine but I took it apart to move it and broke the frame pivot spacer. Icon service sent me the wrong part and does not return my emails to get the right part. The part costs 90cents, the shipping/handling costs 13.48. 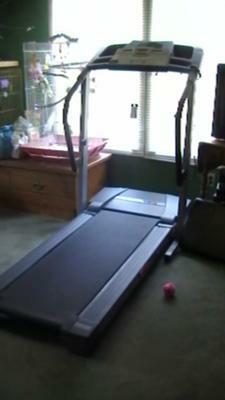 I still don't have the right part to fix the treadmill so I still can't use it. As far as their service is concerned, I think it is very poor.